Clouds are the fluffy white or grey things floating in the sky that bring rains. 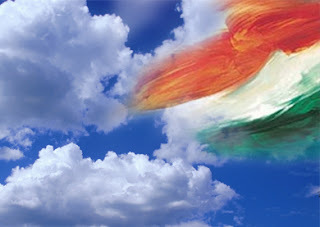 And these clouds hold the key to the prosperity of the Indian economy. According to the study done by leading management consulting firms, the total cloud market in India is estimated to be around US $ 400 million currently. Further, it is expected to reach a market value of US $ 4.5 billion by 2015. So what will drive this spectacular growth? SMBs who do not have legacy IT infrastructure and those who use third party, are moving to public and private cloud thereby giving a boost to the market. Read more to find out more about scope of cloud in Indian market. While cloud technology is constantly touted as the next big thing in IT, only 6% of companies are planning on moving to the full public cloud. Which suggests that concerns over security become even more real once applications move beyond a business’s own firewall. The fact that the private cloud is proving so popular shows just how unwilling firms are to put their crown jewels in a public cloud environment. Concerns over information security are the biggest barrier to businesses moving to online cloud-based computing services, says Kgomotso Kganyago, chief security advisor at Microsoft SA. As companies move to seamless computing and as more international cables land on the shores of the African continent, companies need to realize that security attacks will rise and secure their systems appropriately, he says. “The cloud is no longer a choice,” says Kganyago. Cloud computing is a “great equalizer” for small businesses and is making IT more dynamic. Enterprises looking to implement cloud computing typically have numerous issues that they hope the move to the cloud will magically solve. It's no surprise that many of today's IT shops face a huge number of negatives: overly complex enterprise architecture, out-of-control data sprawl, and a huge backlog of app dev work that's not being met, typically in an environment of diminishing budgets. To make cloud computing work for your enterprise, you need to drive significant changes in the existing on-premise systems before or as you move to cloud. A recent study by theInfoPro, a part of the 451 group, found that reluctance to accept any change is the most frequently cited reason for what holds back organizations from adopting the cloud. In fact, 52 percent of organizations said that change was the biggest roadblock. That compared to 15 percent who said that up-front costs was holding them back and another 13 percent that said that security was their main issue with the cloud. Internal change and learning are difficult for organizations to accept.